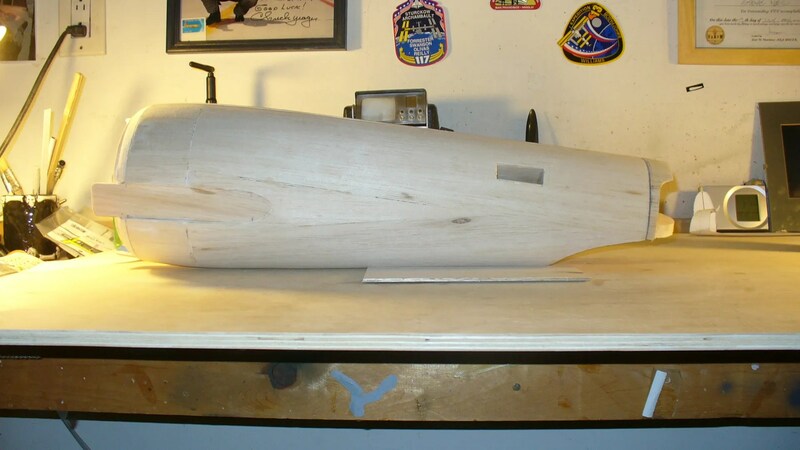 Today I spent sanding and pointing up the masters for the secondary hull and the pylon neck. This needs to be done before I glass. You can always fill valleys but it’s hard to get rid of them mountains! 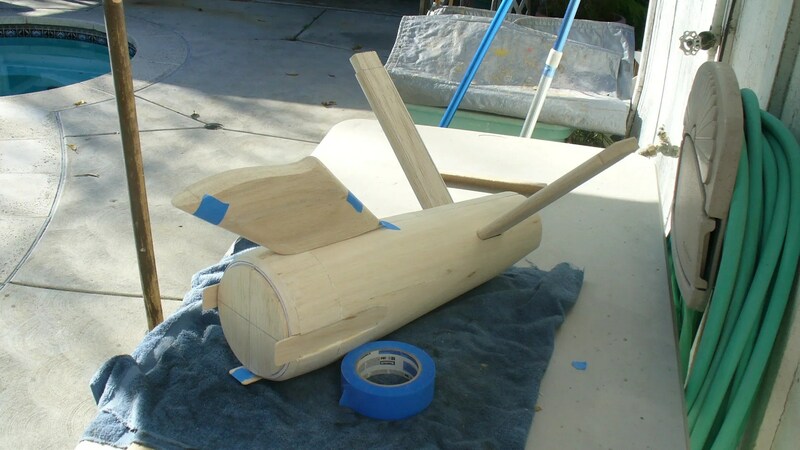 Additionally I started work on the hanger bay structure. 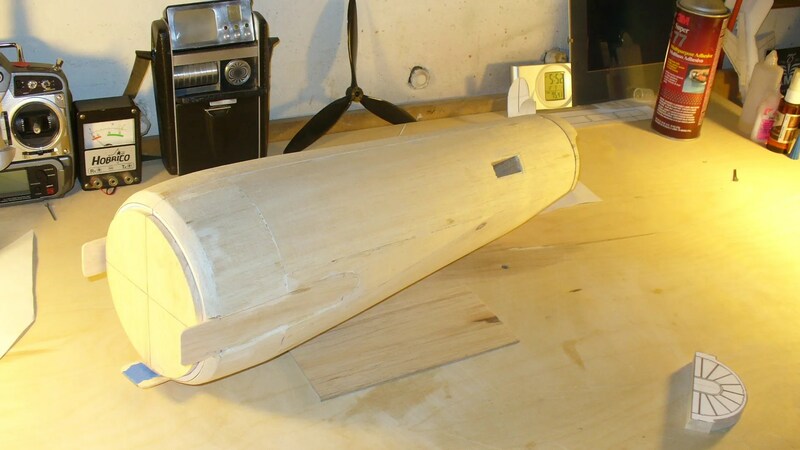 This assembly when done fits deep inside the hull. Currently until I have a casting of the hull in glass I can’t show that. 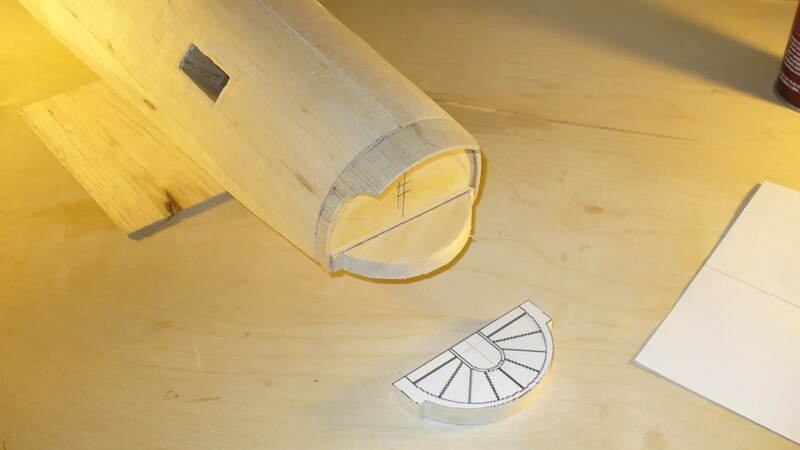 The final part will have the rear bulkhead, doors and the outer structure as one piece if it works out like I hope. 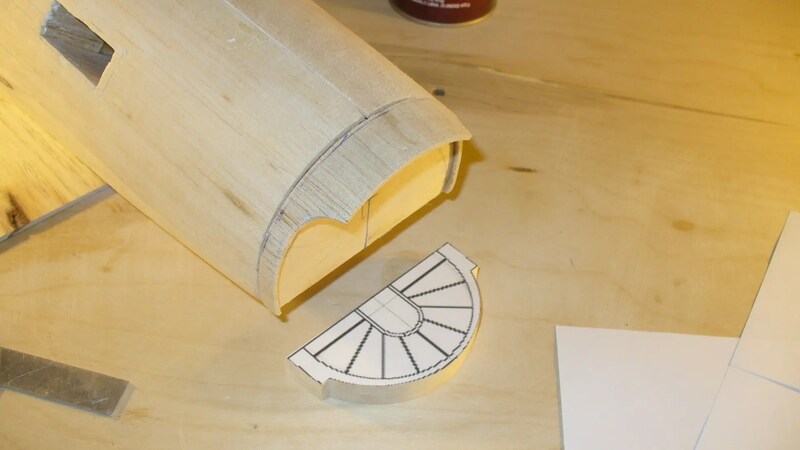 The idea here is to make a rough balsa and acrylic dome master. Mold it and cast it from Alumilite and really point it up again and make another mold for production parts. 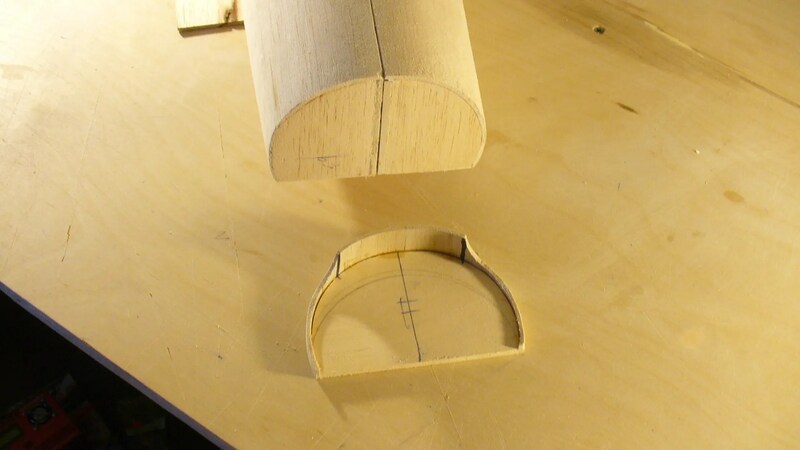 This works very well as you can tool up the resin to be perfect unlike balsa or clay. 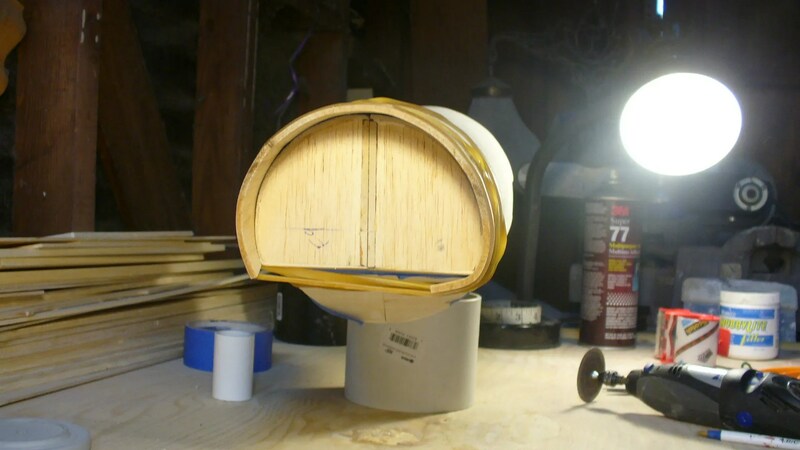 Tomorrow I hope to finish off the hanger bay and move to the sensor array concentric circles and outer cone. 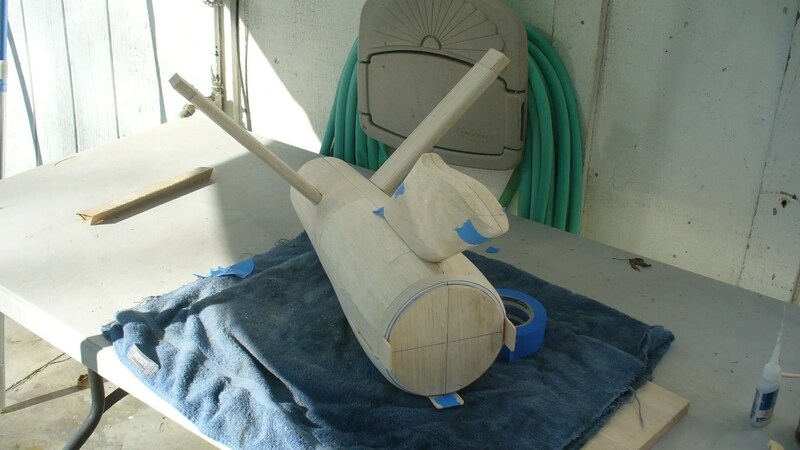 These need to be all roughed out and attached to the hull and cehcked before I glass it to make sure every thing is right. I added this part just for a look to check profile and measurements. It doesn’t get used. The larger piece with the template is the actual part to be.